Kitchen Remodel? We Can Help! Thinking about remodeling your kitchen? Did you know that a kitchen remodel can mean more than a fresh color palette or a new take on this year’s popular theme? (Good bye, roosters. Hello, distressed wooden pallets!) Remodeling your kitchen can actually add value to your home. And if you’re in the market and considering selling your home it can be a quick project to help you get a better return on your home! If you’re considering remodeling your kitchen there’s one thing that you should take into account. That is the electrical system. While it may not be as fun or glamorous as picking out tile, paint colors, appliances and matching counter tops it is just as if not more important! That’s why before you begin a project you’ll want to consider what you’ll need for your electrical system. Especially if you live an in older home you may need to upgrade your wiring or even your electrical outlets. Many professionals will offer in home estimates to help you figure out what upgrades your system will need. During your initial research and budgeting you may wonder if hiring a professional electrician is worth the cost. After all you can find almost anything online and most electrical supplies can be bought in hardware stores, right? Before you decide to tackle your kitchen remodel it’s important to know that some home insurance companies will is many cases not cover accidents caused by electrical systems installed by amateurs. Ultimately when you hire a professional you are getting the assurance and peace of mind that at the end of the day their work is insured. Whether you’re remodeling your kitchen to increase the value of your home or if you’re simply looking to update your style – look no further than Electric Doctor. We offer free in home estimates. Our insured professionals have the experience and know how to make your dream kitchen a reality. 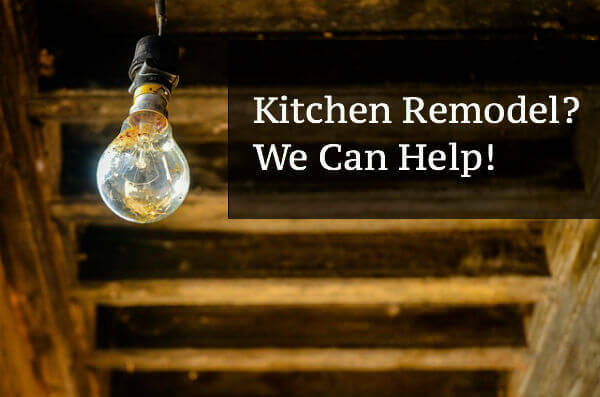 To learn more about the kitchen remodel services we offer click here!